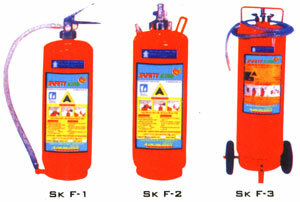 Safety King :: A- ONE FIRE SAFETY :: Services :: Surat :: Gujarat :: India. Suitable For USER On Class (A) Fires Carbonaceous Material Like Wood, Paper, Cloth, Trash & Other Ordinary Materials. 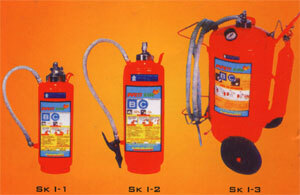 Suitable for use on class (B) & class (C) fires flammable gas. Liquid like petrol, paints, grease & electrically started fires.